December. Christmas Season. So many choices for the history theme for this month. However, I’ve decided to share the history of some interesting events that actually happened on Christmas Day. December 25 is a very historic day, and I think we sometimes forget the world/nation changing events which happened on that day because we’re busy admiring our gifts or visiting with family. Today we’re going to play a guessing game. You see, there’s a famous American who was born on Christmas Day, 1821. Can you guess who it is by the following hints? She grew up in Massachusetts and was known as a shy girl. Her brothers taught her survival skills, including horseback riding which later saved her life. She was known for her compassion and care for other, particularly sick or injured individuals. She taught school and was known to conquer bullies with her kindness and understanding attitude. She worked as a clerk in the U.S. Patent Office and was one of the first women to hold a U.S. government job. During the American Civil War she organized the collection of supplies for Union soldiers. She was appointed “lady in charge” of hospitals belonging to the Union’s Army of the James. After the Civil War she oversaw the “Office of Missing Soldiers”, helping families learn about their soldier’s fate. She was active in the early social movements for civil rights and women’s suffrage. Did you guess who this famous people was? The answer: Clara Barton. 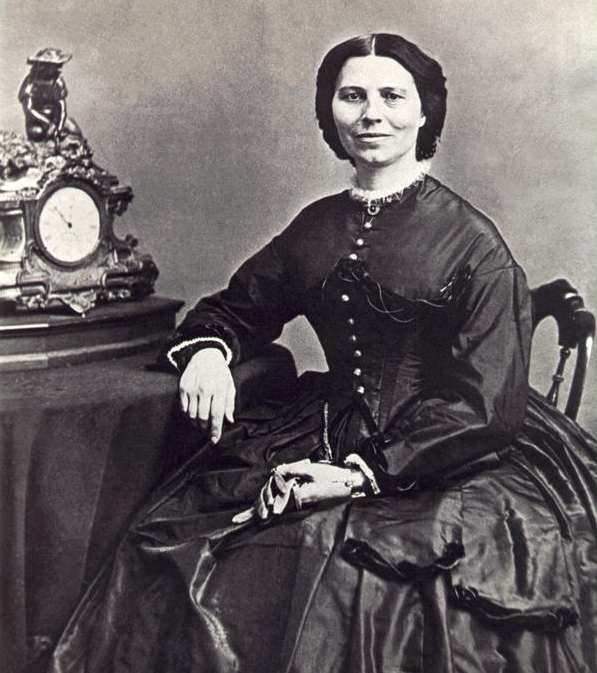 Clara Barton founded the American Red Cross, an organization which has helped save lives and the reduce the devastation of natural disasters. She was a woman with amazing energy and a desire to serve others in need. And, yes, her birthday was Christmas Day. P.S. Can you think of any other historic people born on December 25? Share in a comment! If you have a birthday on this day, my best wishes for a fun celebration.